Remembering Thomas Clyde Cage | Remembering Thomas Clyde Cage | De Soto Obituary Search | Dietrich-Mothershead Funeral Home, Inc. Remembering Thomas Clyde Cage | De Soto Obituary Search | Dietrich-Mothershead Funeral Home, Inc.
Visitation: Wednesday, March 20, 2019 from 4:00pm until 8:00pm at the Dietrich-Mothershead Funeral Home. Service: Thursday, March 21, 2019 at 11:00am from the chapel of the Dietrich-Mothershead Funeral Home officiated by Bruce Valle. 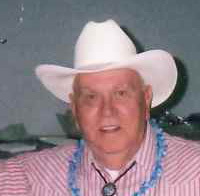 Thomas Clyde “Tom” Cage was born in Pevely on April 30, 1933 a son to Clyde Thomas and Elsie (nee Mirgain) Cage. He died at Missouri Baptist Hospital in St. Louis at the age of 85. He is survived by his children: Tamira Cage, Farmington and Dale (Christine) Cage, De Soto; five grandchildren: Zachary Cage, Sidney Cage, Jordan Cage, Madison O’Neail, and Michael Keller; a great-grandson: Colton Holst; two sisters: Nancy Gibbs, Eureka and June Williams, Dittmer; and his companion Patricia Lexa. 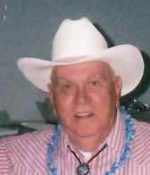 He is preceded in death by his parents; his wife Veleda Jean Cage; one sister: Edith Baranowski; two brothers: Ralph Cage and Clifton Clyde Cage; and his longtime companion: Loretta Dierks. Tom served in the United States Army during the Korean War. He retired from Gaylord Container and enjoyed traveling and dancing.